I’ve got a confession to make. Despite my love for all things cloth and fluffy, I still use disposable diapers from time to time. Mostly just when Kay has a diaper rash (bad mom didn’t notice she pooped!) and I don’t want to get zinc oxide all over my diapers. That’s usually one disposable diaper overnight with a bum slathered in zinc cream. But right now we’re in the throes of a battle against yeast diaper rash, and I haven’t touched my cloth diapers in a week! This is the culprit! Candida albicans, the organism that causes yeast diaper rash. 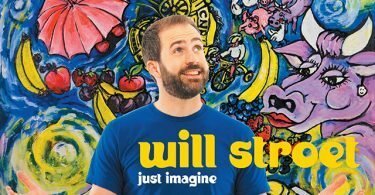 Last month I had a bad sinus infection that lasted over six weeks. I couldn’t breathe, I couldn’t sleep, and my face and teeth hurt. I ended up having to take three rounds of antibiotics before I was able to shake it. I guess Kay got some of those antibiotics through my milk, enough to kill off the good bacteria that keep yeast in check. One day I noticed she had a bit of a rash, but her usual CJ’s Butter and even zinc oxide didn’t help. And then the dreaded red satellite patches appeared. Ugh. That’s a yeast diaper rash all right. I know some mamas continue to use cloth and strip/disinfect their diapers until the rash has cleared up. But you know what? Some days it’s hard enough to get the regular laundry done, let alone a whole disinfecting routine. And I’m paranoid about Kay getting the yeast back from diapers that weren’t quite clean and going through this all over again. So, she’s been wearing paper on her bum all week. I’ve got some fluffy withdrawal right now, plus a couple of cloth diaper reviews I can’t get started on until Kay’s rash is all cleared up. But there are also some unexpected benefits. That super cute onesie she outgrew a month ago? She got to wear it again this week! All of a sudden her jeans fit better too. I’m still using cloth wipes. I can sanitize them in hot water and bleach without the worry of ruining them, unlike my diapers. And even though we’re using disposables, I’m still flushing the poop. (Whether using cloth or disposable diapers, poop should always be flushed so it goes through the waste treatment facility instead of being left to seep into the groundwater.) We did a run of nystatin which helped a bit, and then I switched to clotrimazole which seems to be doing the trick. This week in disposables has affirmed for me why I use cloth the rest of the time. The amount of dirty diapers going out in the trash seems insane to me! Using disposables for a week isn’t a big financial burden, but I can imagine how quickly it would add up if we didn’t go back to cloth. Fingers crossed we kick this quickly and Kay can go back to her fluffy bum and 18 month onesies! 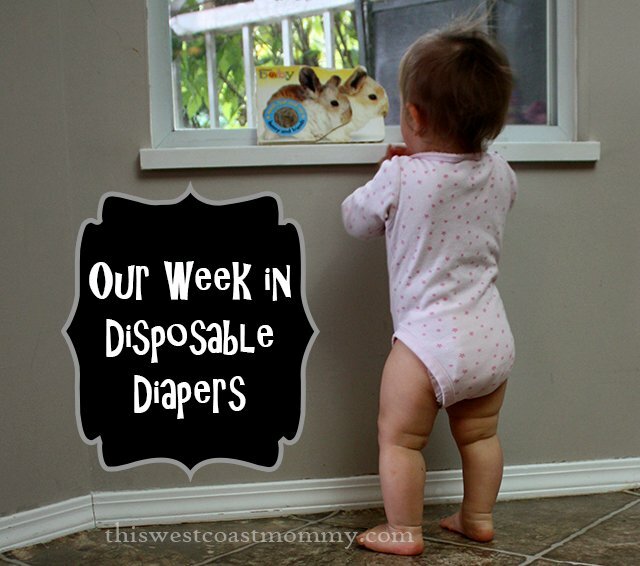 If you cloth diaper, do you ever use disposable diapers too? 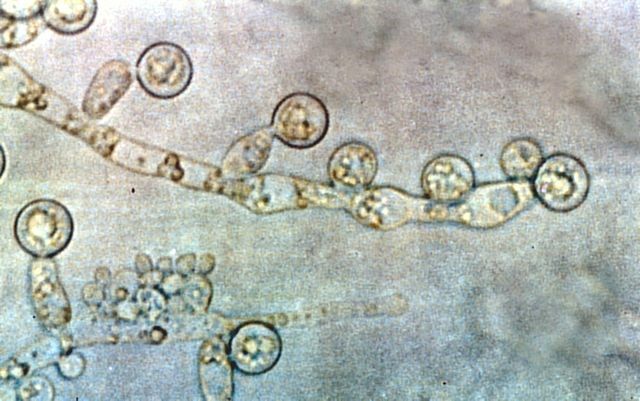 Candida albicans image used by permission under Creative Commons licensing by Wikimedia contributor GrahamColm. 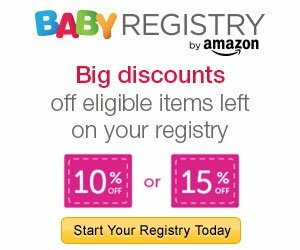 I cloth diaper and I only use disposables for convenience, my MIL refuses to use cloth. So when she watches her, she gets sposies, If my daughter had a rash, I would take the cloth off immediately, seriously. The whole stripping drives me crazy anyway and we dont need to overcomplicate and put a ton of energy into things if unneccesary. We can have that time with our kids and our own busy schedules! I also feel weird about it, but energy is much better wasted elsewhere! Yes! I don’t want to spend all day stripping and disinfecting diapers instead of with my kids. Too bad about you MIL though. Mine learned to use cloth when my SIL had a baby first, so I had it easy! I don’t cloth diaper, I just use disposable. I never could really get in the habit of cloth diapering! I was cloth diapering for 6 years and now with baby 5 I cannot keep up with the wash so I have been using disposables for my 2 year old and 5 month baby. I miss cloth and need to go back. I am glad you are both feeling better !